A Russian fan at the 3rd round match between members of the Russian national team Yevgenia Ukolova and Yekaterina Birlova and members of the US national team Lauren Fendrick and Brooke Sweat in women's beach volleyball at the Rio Olympic Games in Brazil. Stripped of its track and field athletes and weightlifters, the Russian national team finished fourth in the Rio medal table. Although the doping scandal cast a long shadow over the event, the 2016 Olympics also witnessed the emergence of new Russian stars and unexpected performances in some sports. Forecasting Russia’s performance at the Rio Olympics was an impossible task: The revelations that the country had been running a state-sponsored doping program at previous events meant that up to the very last minute there was no certainty about which Russian athletes would be allowed to compete, if any. But during two weeks of intense and spectacular competition, Russia bagged 56 medals: 19 gold, 18 silver and 19 bronze. In Rio, Russia was just three gold medals short of its London 2012 standing, coming fourth in the medal count after the U.S., the UK and China. And all that notwithstanding the fact that Russian track and field athletes and weightlifters had been banned from competing in the 2016 Games. Russia’s Olympic team in Rio de Janeiro consisted of just 280 athletes (by way of comparison, the American delegation had 567 athletes). Given the loss of banned athletes, the resulting 56 medals is a success, says Dmitry Svishchev, chairman of the State Duma committee for physical education and sport. “In my view, we were robbed of about 10 medals, if you look at the number of track and field and weightlifting medals that Russia won in London. It is our fault too that we allowed this to happen, but, on the other hand, in an atmosphere of the toughest pressure and psychological attacks, it was a victory for all the athletes, I think,” Svishchev told RBTH. Russia had its biggest crop of medals in wrestling (4 gold, 3 silver and 2 bronze) and fencing (4 gold, 1 silver and 2 bronze). While the wrestlers’ result was close to what they achieved in London, in fencing the results exceeded the team’s wildest expectations. According to the head coach of the Russian fencing team, 1998 Olympic champion in team foil Ilgar Mamedov, the Rio success has already created a fencing boom in Russia. “It is a great thing because [usually] not that many kids choose fencing. Many are interested in football, basketball, ice-hockey, whereas ours is a closed sport,” he told RBTH. In addition, Russia secured victories in the sports that it traditionally excels in: synchronized swimming (2 gold medals) and rhythmic gymnastics (2 gold and 1 silver). What came as a surprise was Russia’s success in sports where previously its performance had been rather lackluster: archery, track cycling, taekwondo and sailing. Having said that, these achievements only seem unexpected. For instance, 19-year-old windsurfer Stefania Elfutina, who picked up bronze in the women's RS:X race, won this season’s European championship, the first in her career. The Russian women's team in archery, who came second after the unbeatable South Korean team, were competing for bronze with Japan back in London in 2012. Track cyclists Anastasia Voinova and Daria Shmeleva, who claimed silver in the women's team sprint, with the gold going to China, had won this year’s world championship. In taekwondo, meanwhile, Russia’s Alexey Denisenko, who lost in the final to Jordan’s Ahmad Abughaush, picked up bronze four years ago in London. The Russian men’s gymnastics team is regaining its previous glory too. In Rio, they claimed silver, bringing Russia its first medal in the men’s team event since the 2000 Sydney Olympics, which was dominated by Alexei Nemov. This time, Russian gymnasts won medals in individual events too: Denis Ablyazin got silver in vault and bronze in rings, while David Belyavskiy picked up bronze in parallel bars. However, the Olympics took place in the shadow of the largest doping scandal in history, with those Russian athletes who were clean having to endure a lot of stress before they were allowed to compete in the 2016 Olympics in Rio de Janeiro. In November 2015, having conducted a probe into the operations of the Russian Anti-Doping Agency (RUSADA) and the All-Russia Athletic Federation, a commission of the World Anti-Doping Agency (WADA) accused Russia of numerous doping violations. 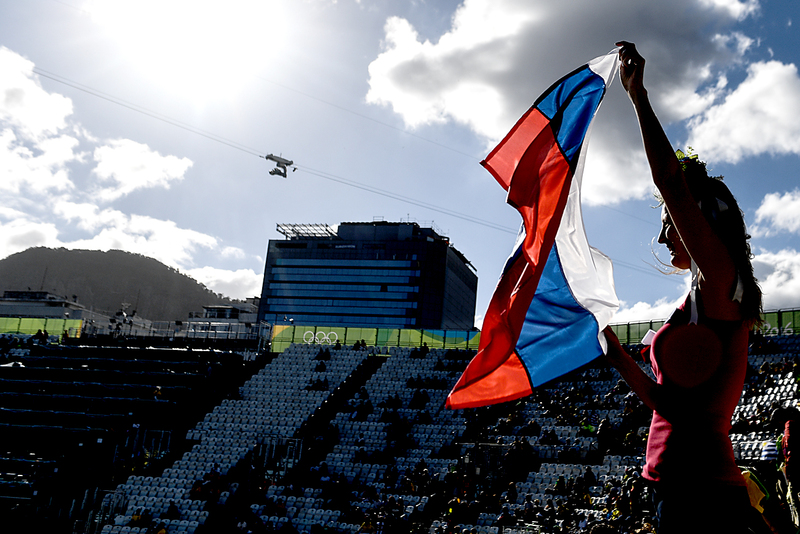 As a result, RUSADA was suspended by WADA, while the International Association of Athletics Federations (IAAF) suspended the Russian federation and banned Russian track and field athletes from taking part in all international events. In the summer of 2016, a WADA commission headed by Richard McLaren published a report that found that it was “beyond a reasonable doubt” that the Russian government had run a doping program for many years. Grigory Rodchenkov, the man who ran Moscow’s anti-doping laboratory, had revealed in The New York Times in May that he had overseen an elaborate scheme to secure victories at the 2014 Winter Olympics in Sochi involving the participation of the Russian security service, the FSB. Following the publication of the McLaren report, the IOC had just several days to rule on Russia’s eligibility to take part in the Rio Games. Controversially, it opted not to imposed a blanket ban on Russian participation but to bar the field and track athletes and leave decisions on other sports to the individual federations. Even clean athletes and those who already served punishment for doping in the past had to prove their right to compete in Rio. In the end, the majority of Russian athletes – with the exception of the track and field and weightlifting teams – were allowed to take part in the Olympics. The only Russian track and field athlete allowed to compete in Rio was Darya Klishina, who has been living and training in the U.S. for several years so has no relation to the Russian anti-doping system.